1. 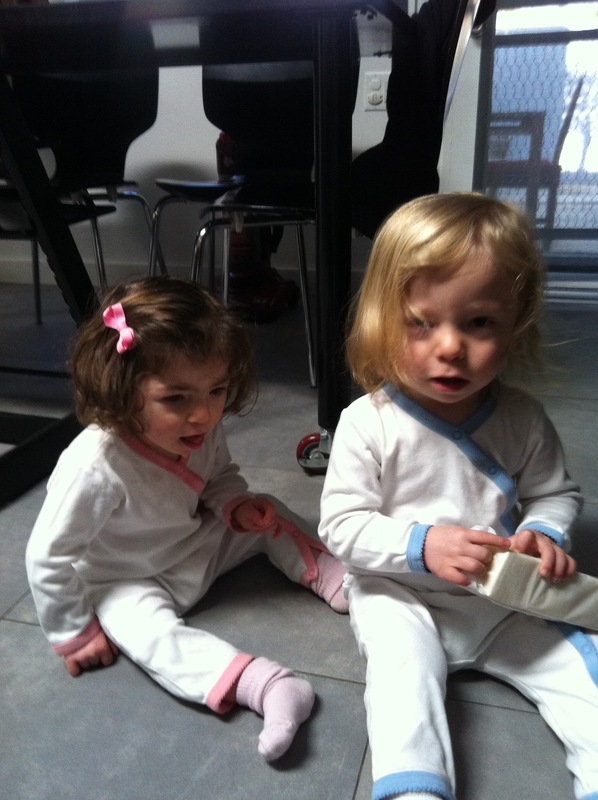 Do NOT dress your twins like the twins from the movie “The Shining“ – “Redrum Redrum” – creepy. 2. 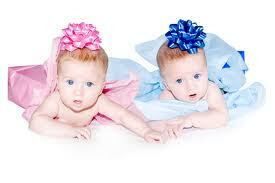 Do NOT dress your twins as presents, they may never forgive you. 3. Do NOT dress your twins as Leopards or they might be confused with the Ikki twins and captured for further studies or protection. 4. You can, and although I rarely do this, but some days, like when Daddy brings the outfits to my bed just before he leaves at 6:45 am, dress them the same as I did today. Choosing something adorable like their Restoration Hardware onesies that we literally bought when they were the size of a peanut! And, now that they finally fit, I am pretty sure it’s one of the cutest things ever. A ‘newfavoriteday’ indeed. Getting this photo was like herding cats...but I did it and here are Q and E sporting the same outfit in blue and pink...so awesome. ← Dear Ellis, a Letter to my Father-in-Law. That definitely brought a smile to my face!!! So precious. Seriously could they be any cuter. Those are cute kids! I think you should do The Shining thing one Halloween when they get a little older. Just throwin’ that out there. I have a friend who dressed her non-twin boys the same for a while. Then the older boy hit second grade and started rebelling, and so that was the end of that. Thank you! I should, I would have to do the boy girl version but it would be hilarious. They could carry signs and the whole thing…although I must say I was (and maybe still am) terrified of those twins! My sister and I were dressed the same all the time, but once we were old enough we shut it down…thanks for coming by Janice, I really appreciate it! Aw gorgeous photo! Just stopping by your blog – it’s lovely – after you stopped by mine. My cousin’s son has Cerebral Palsy, we’re at the tail end of raising money for him to come to the States for an SDR operation – they fly out in March, hurrah! So, I have a little understanding of CP and the trials it brings. I wish you all luck on your journey and I’ll be checking back to see how you go with your transition to WAHM too!